Unlike some of you plebes who waste your day on Craigslist, I prefer perusing the duPont Registry of fine automobiles, where I came across a Porsche of significant value. 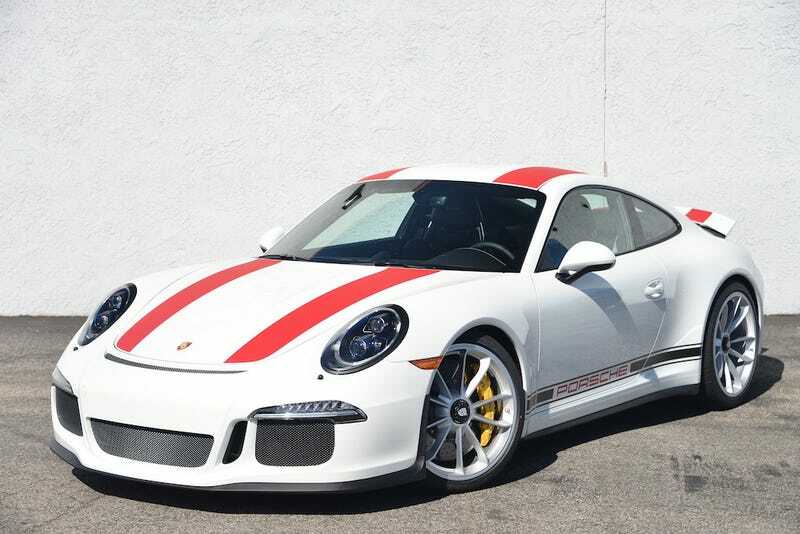 A motoring store in California is selling a 911 R for a perfectly reasonable price of $699,000. Now some other websites like to make lame jokes about how our readers are mostly a bunch of kids still living at home and buying beaters on Craigslist. I happen to know for a fact that we have readers who can afford a 911 R, perhaps even several, including one that is priced at almost four times its MSRP. Those people are just too busy being ballers and captains of industry to hop into our comment section. Therefore, it is my duty to make such members of our community aware that the first Porsche 911 R available for sale in the U.S. will be soon arriving at Exotic Euro Cars in California. If you are a man or woman of extreme wealth and have discerning taste in Porsche-brand cars, you may want to put an inquiry in for this particular model. Especially if you are looking for a pure motoring experience and/or like drawing crowds at your local Cars and Coffee outing. You can even submit for an “e-price” (that tells me they might be flexible on price). Who knows, with a little negotiation you might be able to get it down to $698,999. For the rest of you please feel free to stare longingly at the images and imagine what it would be like to be piloting such an amazing piece of Porsche engineering. Then perhaps you should take a break from reading Jalopnik (but just a little break), and get back to work. Maybe someday you too can afford a 911 R.